One of the highlights of my New York trip was getting to experience the Alexander McQueen | Savage Beauty show at The MET. It was insanely busy as it was the first weekend it opened to the public. But it was so worth it. 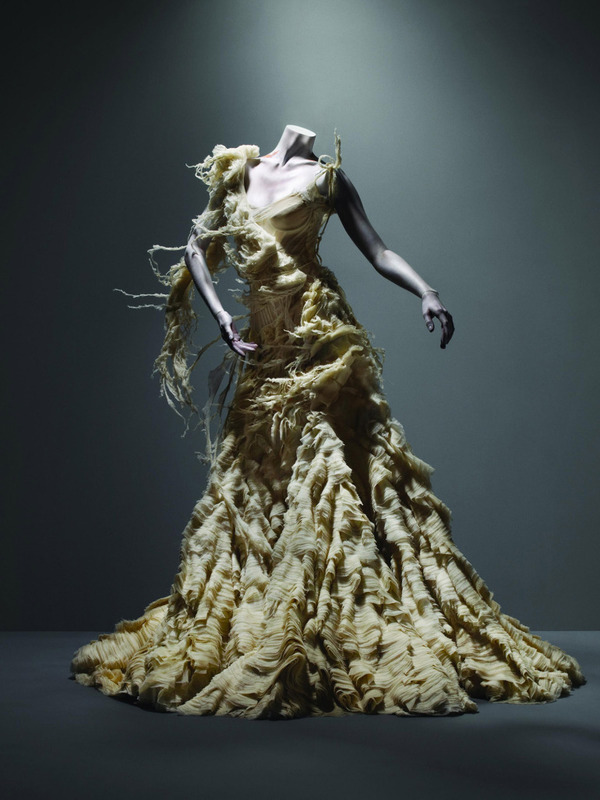 The show was, for me, a celebration of McQueen's exquisite craft. It was a celebration of beauty – however melancholy or dark. It's impossible to cast aside the brilliance and complexity of the ideas behind the work. There is no doubt that this falls under the category of high art. Being allowed to see his thinking and his inspiration was eye-opening. I was so thrown by how beautifully executed and tailored everything was. His pieces required undeniably precise detail and quality. He respected and studied the rules and, therefore, knew how to break them. The work is so modern and yet so rooted in tradtion at the same time. Looking at these dresses as I walked through the show, I saw the intensity of McQueen's passion for beauty. He not only put powerful women on a pedestal, he wanted women to be powerful in his clothes. The show itself was billiantly curated...stunning. Possibly the best exhibition of art & fashion I have ever seen. McQueen is awe-inspiring. He was a genius. If at all possible, go see the show before it closes in July and see where it might be traveling to next. Or at least check out the site. Looks like they're having trouble keeping the book on the shelf (pick one up if you can).